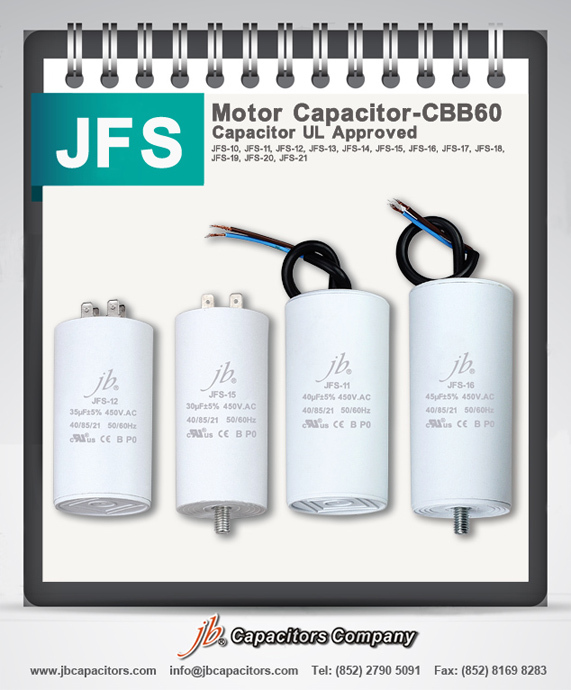 Good news to share with all of our valuable customer that jb JFS CBB60 Plastic Case Motor Running Capacitors get UL approval in this May. We would like to be your single manufacturer for Motor Running Capacitors. Please count on us. We will not let you down. We would like to explain to you for a period of time due to the prices, but don't like to say sorry to you due to the quality for a lifetime. If simply for sake of profit, absolutely can sell quickly by decrease the cost(quality), but we think, we will only pround of our perfect quality and service ! Including SMD type, Radial(THT) type, large can type(I.E. snap-in, screw, lug type). 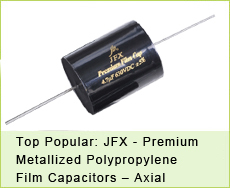 Are you looking for better price for Axial Lead Metallized Polyester/ Polypropylene Film Capacitors? 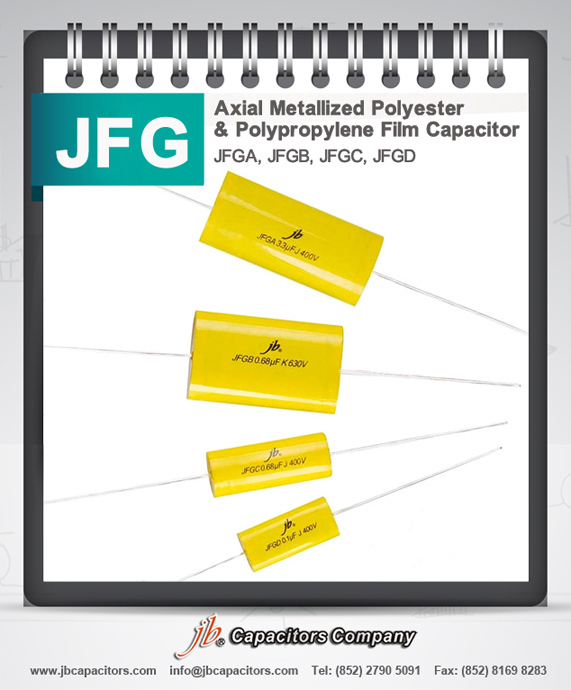 Please look at our JFG series, we have 4 different types, with meterial Polyester/ Polypropylene. Our price is very competitive, high quality& short lead time. Cross reference: Acrotronics(Kemet): MKT A50, MKP A70, KP A72, Vishay:MKT1813, MKP1839, MKP1845; Epcos:B32231~32232, B32669 etc.. Wide application: Amplifier, Loud speaker, Power supplies, Audio equipments....other Audio products. 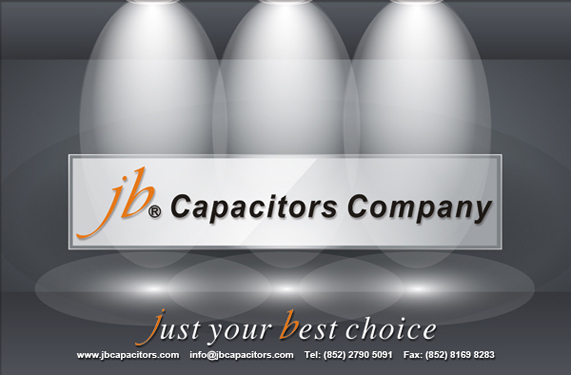 jb Capacitors Company is your best choice. Customer Success is our success, quality and service is our life, innovation is our soul. Any demands, please kindly to contact us at once, thank you. Polypropylene Film capacitor CBB65, also know as AC Motor Running Capacitor, which specially designed for air conditioning. 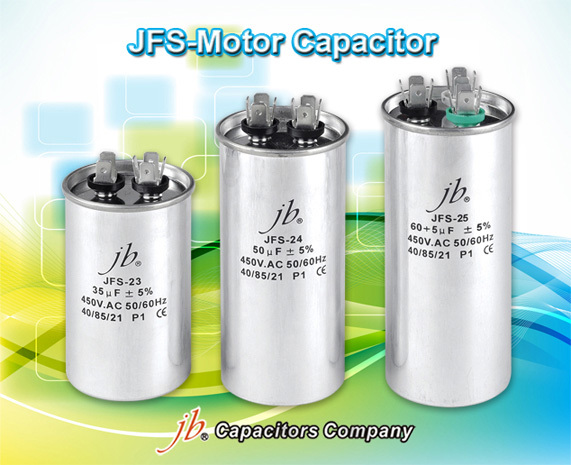 jb JFS 22~26 series CBB65 Motor Running Capacitor is equipped inside with reliable explosion-proof equipment and it is highly safe. With its good self-healing characteristic and long life-span, it is widely used for air-conditioners, refrigerators, generators, illuminating lamps, etc. The standard voltage for our JFS 22~26 series CBB65 Motor Running Capacitor is 450VAC and 370VAC. Usually, under the condition of all the raw material ready, our production line is capable of producing 20000pcs of these capacitors per day. From May to October is our peak production season for CBB65 Motor Running Capacitors, we suggest you to send your order plan in advance to get a fast lead time. After a period of preparation, we finally finished JSX common items stock samples. Free samples are at your disposal, please feel free to contact with us. We would like to hear your voice on how our JSX works in your Hifi system. Here you can refer to one of our valuable customers comment on our JSX great performance.
" In general, the white JSX does have more detail and sounds more open/clear. Also the JSX with a little darker sounding but also a little more coherent and tonally richer and have warmer harmonics making it more pleasant to listen to on long listening sessions." This summer, will you evaluate new supplier for Motor capacitors? Can you check our datasheet below, and advise if you buy the 26 types motor capacitors? Our Low MOQ, LOW Factory price, High quality are waiting for you! Special values are on request! 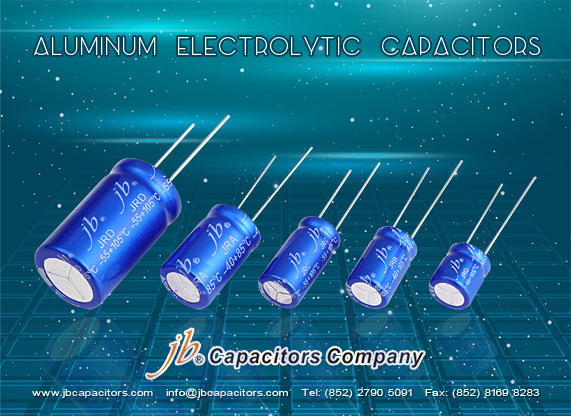 Every year jb Capacitors Company will evaluate our production line. On one hand is to find out our most strong products, on the other hand is to update our present products. 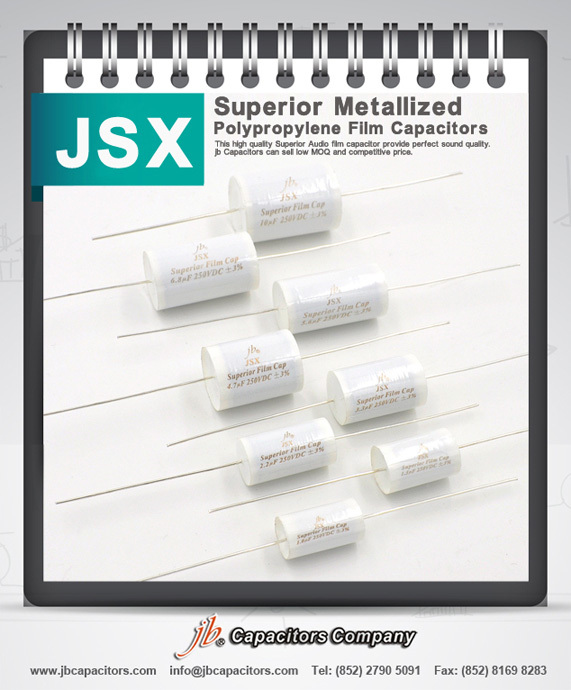 In year 2015, our upgraded JFZ series will help you win more X2 310VAC MKP capacitors business! Great price! 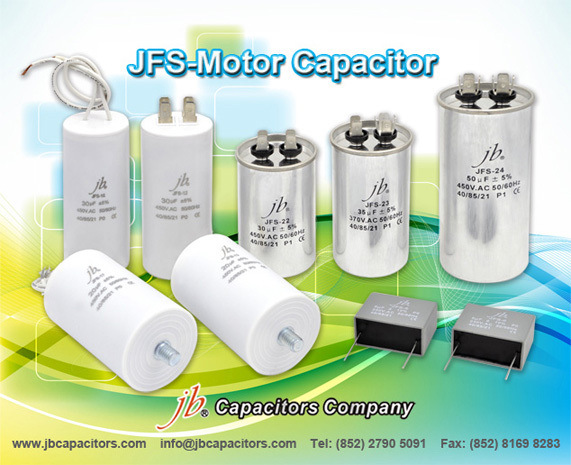 JFS series motor running capacitors win good feedback from our european customers. JSX is upgraded from JFX ,which with lower DF value can cross to international famous brands. We do radial aluminum electrolytic capacitors many years, this year we expand our production line in this type of products. 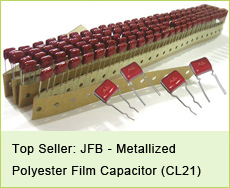 jb Capacitors Company offer below box type MKT & MKP film capacitors with very competitive prices and reliable, stable quality. 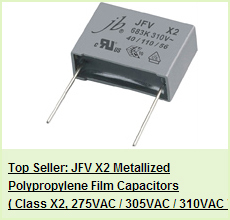 JFV- X2 Metallized polypropylene film capacitors, 275VAC (with ENEC VDE UL Approvals)_____Cross to Arcotronics R46, Epcos B81130, Panasonic ECQU etc..
JFZ- X2 Metallized polypropylene film capacitors, 310VAC (With ENEC VDE UL approvals)_____Cross to Arctronics(Kemet) R46, PHE845, Epcos B32921~32924, Panasonic ECQU2A etc..
JFD- Box type Metallized polyester film capacitor, 63V ~630VDC_____Cross to Arcotronics(Kemet) R60, R66 series, Epcos B32520~32524, Vishay MKT1818~1820 etc..
JFM- Box type Metallized polypropylene film capacitors 100V~1000VDC_____Cross to Arcotronics R75 series etc..
JFQ -Box type Double sided metallized polypropylene film capacitors(100V ~2000VDC) _____Cross to Arcotronics(Kemet) R76series, Wima MKP 10 series, Vishay MMKP383 series etc.. Welcome your any request for quote.